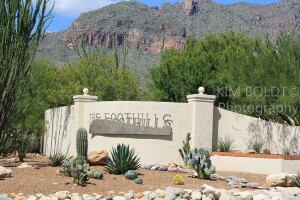 Want the latest update on Catalina Foothills home sales? Get the information you want in 1 minute – right here! See the latest Foothills Homes Sales November 2016 update for Single Family Residence (SFR). Our Catalina Foothills home sales report covers all Tucson subdivision in the Catalina Foothills. Want more? The latest Tucson Housing Report covers real estate active for all of the greater Tucson AZ area. This quick update on Catalina Foothills Homes sales November 2016 summarizes the real estate active in this sought after area of Tucson AZ. Just click the link below to view November’s Single Family Residences activity. The history of the Catalina Foothills began in the early 1920s. The Catalina Foothills area was then federal trust land. Residential property development began just north of River Road. Ten new housing subdivisions sprang up almost overnight. Early subdivisions offered large lots and low-density residential living. The Catalina Foothills residents founded the Skyline Country Club in 1963. Skyline Country Club is one of the Foothills upscale private clubs. This Catalina Foothills homes sales report is one of our nine monthly reports. Get the latest on Tucson real estate sales right here. And if you are looking for a Catalina Foothills home OR condo for a winter get away? We can help!